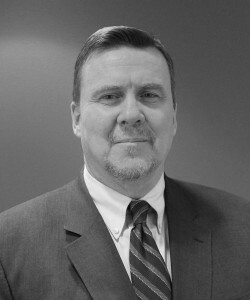 John Bradshaw, J.D., is the Executive Director of the National Security Network. Prior to joining NSN, Bradshaw served as the Executive Director of the Enough Project at the Center for American Progress. Bradshaw served as Washington Director of Physicians for Human Rights. He also worked as a Senior Advisor at the Open Society Policy Center. Previously, Bradshaw was a Foreign Service Officer, serving in Venezuela, Brazil, and Burma, as well as in the State Department’s East Asia and Human Rights bureaus. He also served as a foreign policy advisor to Senator Paul Wellstone and to Senator Robert Torricelli, both members of the Foreign Relations Committee. Earlier in his career, he was a Peace Corps volunteer in the Philippines. Bradshaw received his B.A. in Political Science from Yale University and his J.D. from New York University School of Law. He is a commentator on national security, politics and foreign affairs. His work has appeared in such publications as The Hill, the Washington Monthly, and the Asia Times. He is a frequent guest on radio and television including appearances on C-SPAN, Al Jazeera America, Sirius/XM, the Thom Hartmann Program and Newsmax.